Mystic Inn game download. 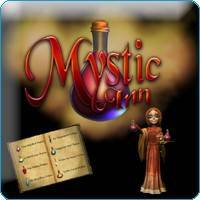 Free download Mystic Inn game. Playing as Daphne, the unfortunate hostess ensnared by the enchanted Mystic Inn, you serve all of the patrons in order to get magic to upgrade the inn. Once you have fully upgraded the establishment, the spell that locks Daphne within her confines can be broken. Five chapters with 50 levels take the user through the game with beautiful art and addictive play, making Mystic Inn immersive and exciting. Play the potion building mini-game to create power-ups. Unlocking juggling frogs, a charming harp, your own take-out owl and other items make the game experience enriching.